Cattie Adhesives is a leading US Manufacturer of Hot Melt Adhesive, Water-Based Adhesive, Cohesive, Heat Seal Adhesive, Pressure Sensitive Adhesive, PUR Adhesive, Solvent-Based Adhesive and Dextrin. We are a strategic adhesive supply partner to companies of all sizes and from many industries; providing comprehensive adhesive solutions and adhesive related technical services that help increase manufacturing quality, speed and performance to drive profitability. We service companies from industries including: Automotive, Bookbinding, Breweries, Contract Packaging, Flexible Packaging, Foam Fabricating, Food & Beverage Packaging, Graphic Arts, Labeling, Laminating, Packaging, Paper Converting, Product Assembly and Woodworking. Cattie Adhesives serves as a trusted advisor and consultative partner to many of our long-term customers. Our depth and breadth of knowledge in Adhesives, Adhesive Application Equipment and Adhesive Technical Support Services has allowed us to become the single-source adhesives supply partner to many companies across North and Central America. As a single-source adhesive solutions partner, Cattie Adhesives provides its clients with a competitive advantage by helping them select the best type of adhesive and adhesive application equipment solutions for their production process; as well as helping to better manage consumable adhesive costs. 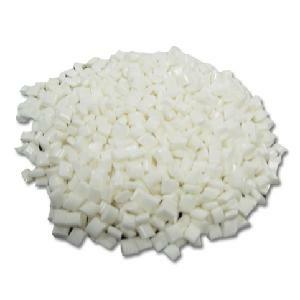 Hot Melt Adhesive – APAO, EVA, Fugitive, Pressure Sensitive, Metallocene, PE, PUR. Water-based Adhesives – Acrylic, Cohesive, Dextrin, Heat Seal, PSA. Custom Formulated Adhesives– Hot Melt, Water-Based, Heat Seal, PUR, PSA. Industrial Tapes and Specialty Tapes – Foam Tapes, Transfer Tapes, Heat Seal Tapes. Adhesive Coating Services – Acrylics, Cohesive, Hot melt, Heal Seal, PSA, Custom Coating. Adhesive Selection Guidance – Let us help you select the right type of adhesive for your application.